Let’s talk about Superman. I promised in an earlier post to tell you how he and I first met and last night’s episode of the fictionalized television series “Supergirl” seems like as good of a jumping off point as any. 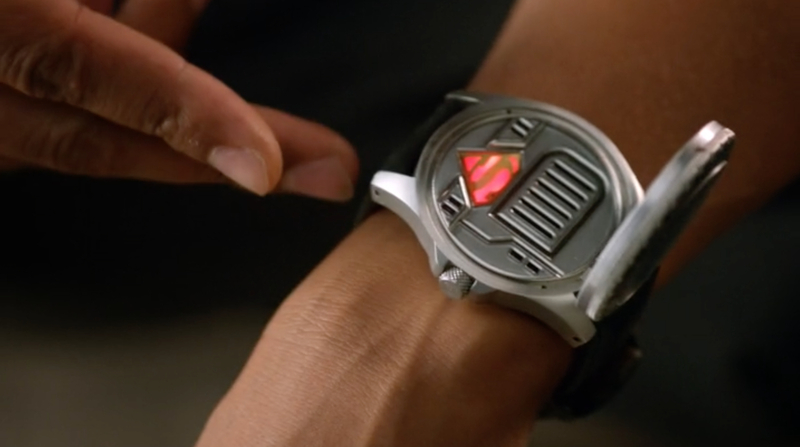 The episode introduced my Superman Signal Watch into the mythos of the series. 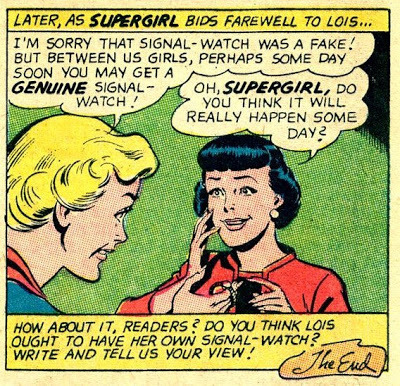 For those of you who don’t know, the Superman Signal Watch is a watch that…uh…signals Superman (I guess maybe you could have figured that out on your own). It also keeps reasonable time. At least mine does. Not sure about the one on the show. The story of how I got this watch is the story of how Superman and I first met. It’s also a little unsettling. And yes, there will be spanking. 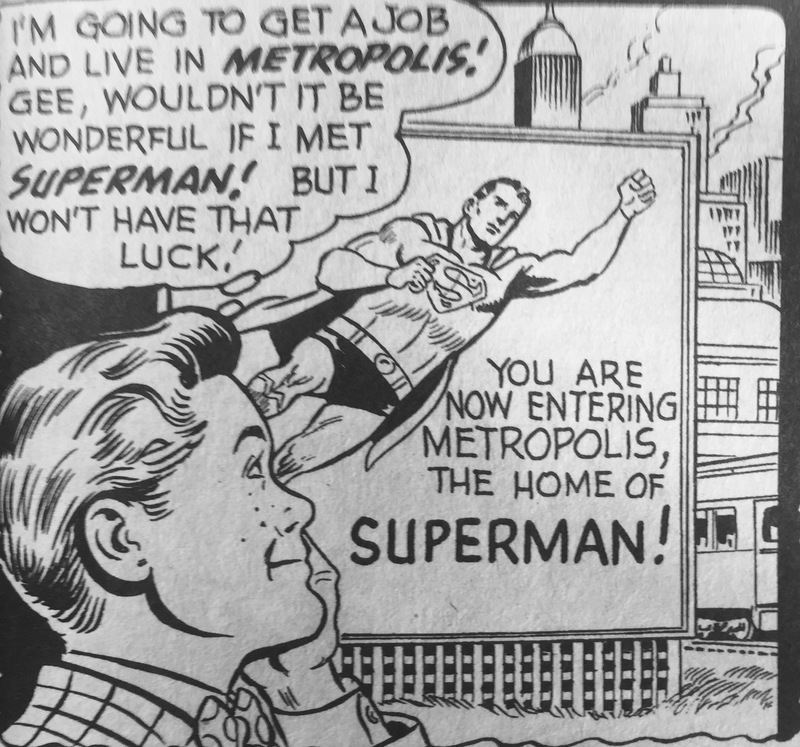 I was eighteen years old, an impressionable teen with a bad case of hero-worship for the Man of Steel, and had just moved to Metropolis to make a go of it in the big city. I had no friends, no family, and no job. In short, I was a perfect mark. Looking for some quick cash, I answered an ad to let a complete stranger use me as a Guinea pig for a dangerous and untested science experiment (it wouldn’t be the last time). This was totally in his garage. The time machine takes me to the planet Krypton before it blew up where I promptly make a traffic violation in my time machine and go on the run from the Kryptonian police. The tiny Kryptonian flying around in the top hat for the win. Also, I can totally read and understand Kryptonese because I’m a huge nerd and figured it out by reading a book. 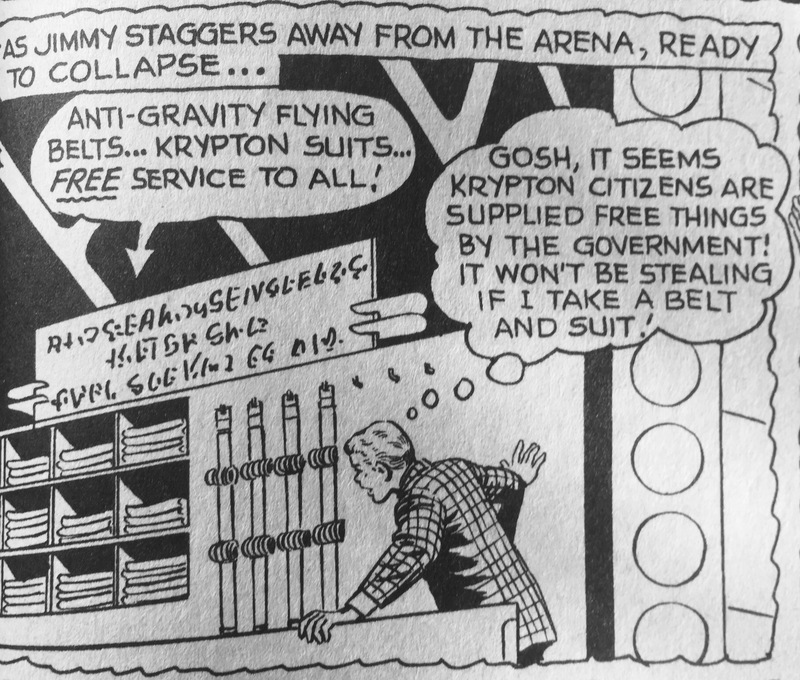 Kryptonian Entitlement Programs. No wonder their planet exploded. 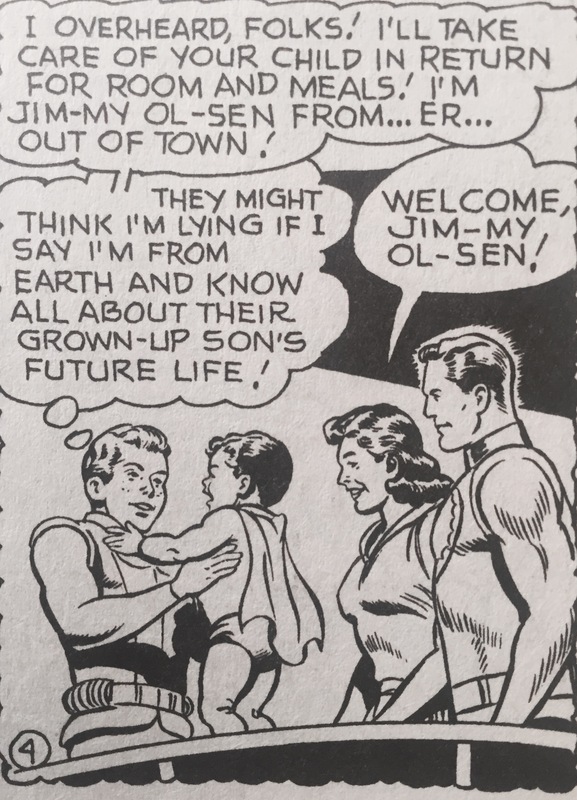 Taking advantage of Kryptonian Socialism, I get some Kryptonian clothes and quickly insinuated myself into the El family’s life by using the combined powers of lying and inexpensive child care. 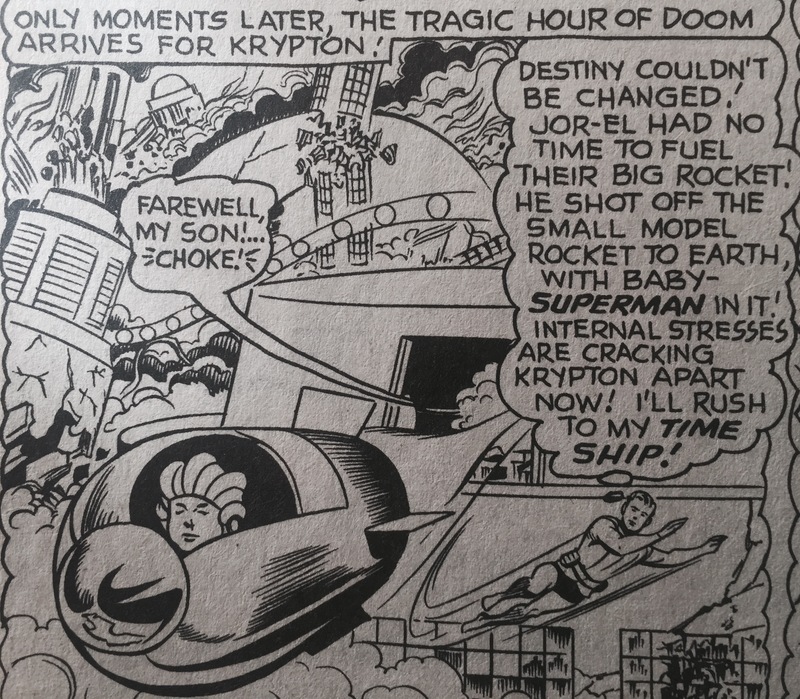 Kryptonians don’t require background checks or immunization records to take care of their babies. 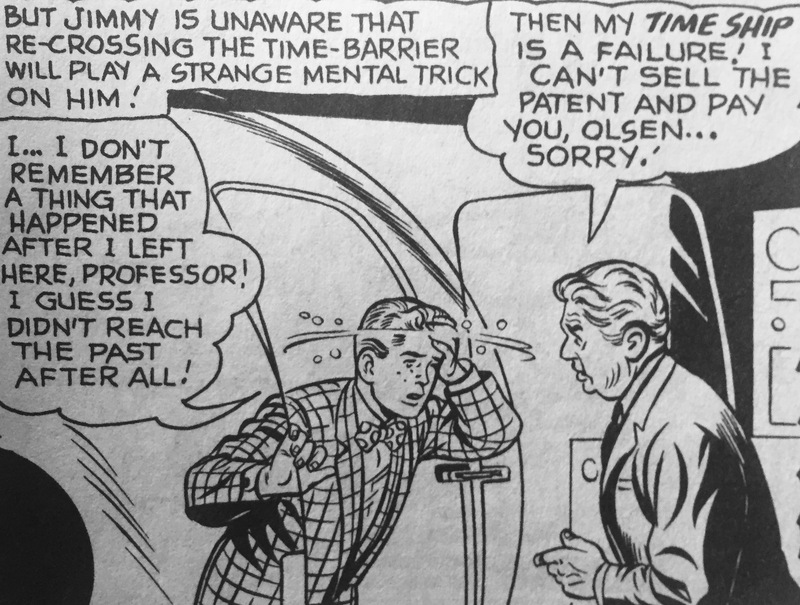 Yes, I could have caused a disruption in the space/time continuum but when else was I going to babysit Superman? Children in restaurants are the same everywhere. They say never meet your heroes. I’d add never babysit them either. 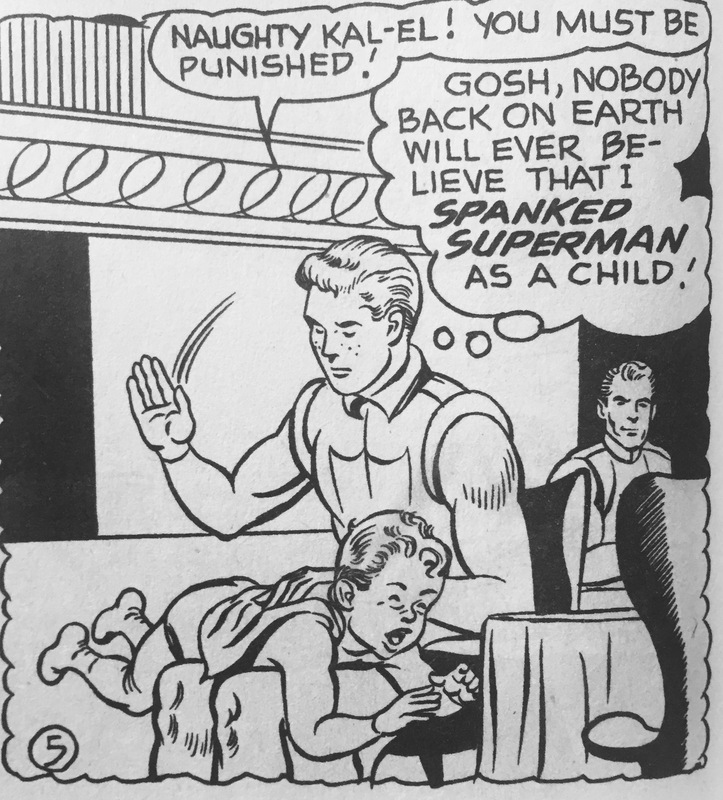 Baby Kal-El was an insufferable super-brat and in my inexperience I turned to corporal punishment (I told you there would be spanking). 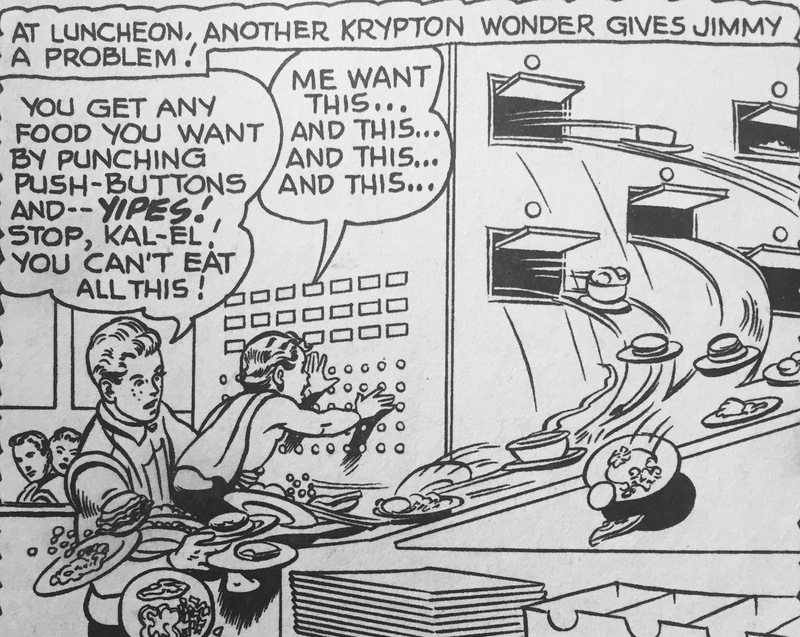 Kryptonian Fred MacMurray at the other table is totally judging my parenting skills. I sort of lost baby Superman for a while but it all worked out in the end. Well, except for Lara and Jor-El still dying along with everyone else on Krypton. 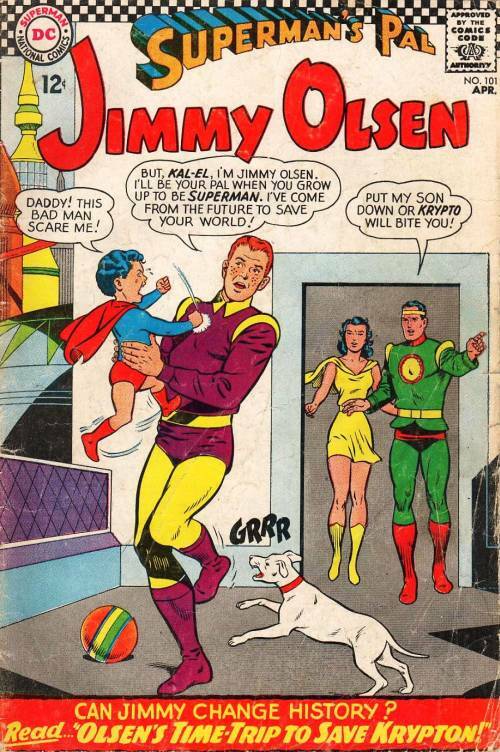 Now here comes the unsettling part (aside from the deaths of billions of Kryptonians). When I arrived back in my time I had no memory of the trip at all. It was as though the time machine had been a failure. Wait. My payment was contingent on you selling your patent??? In fact, I never would have known about it at all if Superman (a complete stranger to me) hadn’t shown up and told me all about it. Um…don’t I get a choice here? He told me the story using his “Super-memory” to remember his baby time, informed me we would be pals, got me a job working in the same building as a dude named “Clark” (he knows we all know, right? ), and gave me the signal watch (he’s never given one to Lois BTW). It’s weird that I have one and she doesn’t, right? 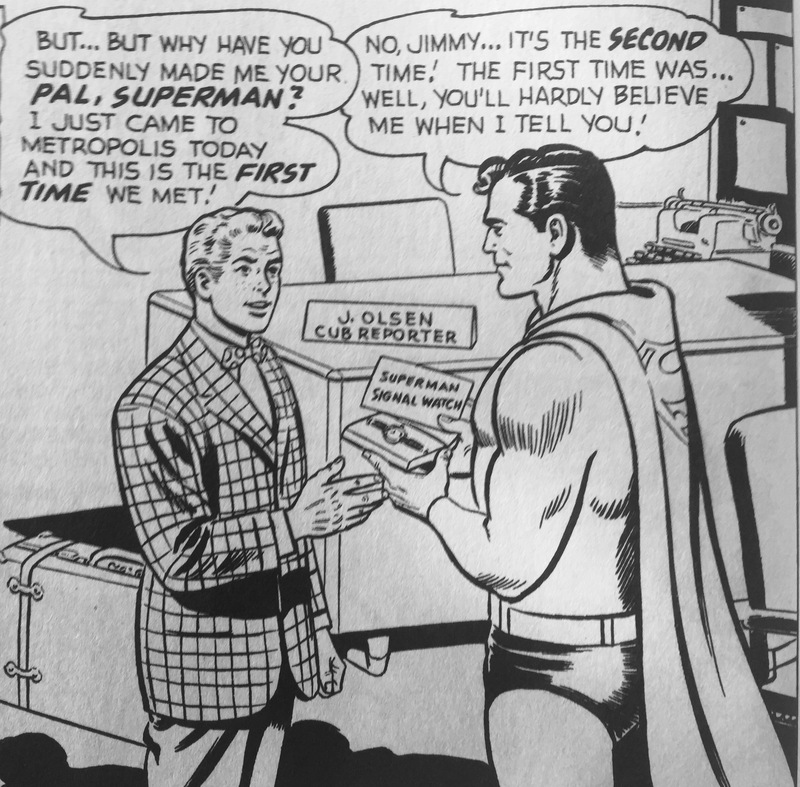 And that’s how I met Superman…through a time travel paradox I can’t remember and have to take his word for. I didn’t question it at the time because he was Superman. He stands for Truth, Justice, and the American Way, right (despite coming from Socialist Krypton)? But if there’s one important thing I’ve learned over the years it is this: SUPERMAN LIES.